Here’s how to leverage our agile features. Project managers and project schedulers may designate a project as being an agile project. Simply go to the Administration section on your left navigation then go to Get Apps & Add-Ons. 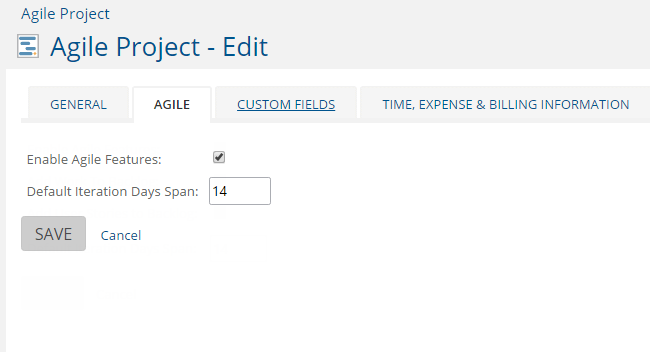 Once the features are installed, go to your project's edit form and you will see the Agile tab. Enable Agile Features by clicking the checkbox and entering the number of Iteration Days and clicking Save. Like always, you may start your project from a template, import from a Microsoft Project (XML) file, or start from scratch. Once your project is started and your tasks listed, create your Sprint(s). 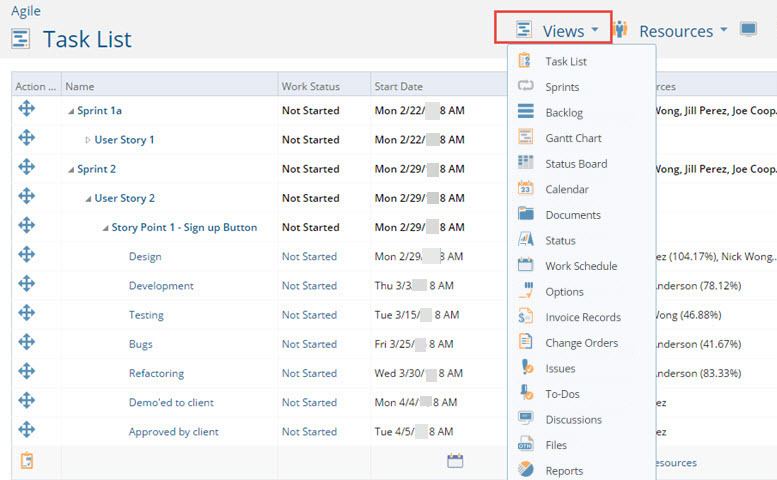 To do this, go to the task list, click on Views and you will see additional agile views. All of the other standard views are still available. Click on Views and Sprints. To add a sprint, go to the Add icon and select Add Sprint. When you add a sprint, the software will propose a two week time frame from today’s date. You can change the name and the dates to fit your needs. Add as many sprints as you think you might need. In the Sprint View, you will see the sprint name, start and end dates, state, active and administration. Go to the Display Options to customize your columns. A closed sprint is one that has been completed. Once a sprint has been closed, it cannot be re-opened. If there is work in a closed backlog that has not been completed, it will go immediately to the backlog. For the Active column, you may choose which sprint is active. There can only be one active sprint at a time. Drag and drop your tasks to Started, In-progress, Almost Done or Done for an easy visual update of your tasks. You can prioritize the backlog by dragging and dropping the task and putting them in order. Top is the highest priority. You can also assign tasks by dragging and dropping the task into the corresponding sprint.